The UIAA is a proud supporter of climbing and mountaineering-based charities. Among the causes the UIAA has worked with are the John Ellison-inspired Climbers Against Cancer (CAC) and the Nepal Mountaineering Disaster Relief and Educational Support Fund. Climbers Against Cancer was created by the late John Ellison, a British climber who after being diagnosed with terminal cancer, established a charity that has since raised hundreds of thousands of dollars from climbers and mountaineers. In May 2014, Ellison was honoured by the UIAA at a meeting of the UIAA Management Committee in Munich. Ellison was feted for his outstanding efforts to bring together the global family of climbers and mountaineers to raise funds for research to fight and beat cancer. After being diagnosed with terminal cancer in 2012, Ellison spent eighteen months building a legacy in the form of the organization Climbers against Cancer which was founded in January 2013. In its first year, Climbers Against Cancer raised nearly $350,000 (USD) through creative fundraising efforts which include the sale of more than 13,000 t-shirts and hoodies worn today by climbers around the world. Frits Vrijlandt, UIAA President, explained that the federation had chosen to honour Ellison for his dedication and persistence in founding a charity that has united mountaineers, ice climbers, rock climbers, boulderers and sport climbers as well those who pursue the sport for competitive or recreational reasons. “Every now and then someone comes along who transcends divisions and Ellison, through his personal battle against cancer which he has fought with such dignity and that wonderful smile, has taught us all the true meaning of what we are all about,” said Vrijlandt. John Ellison sadly passed away on 27 December, 2015. Inspired by John’s efforts Climbers Against Cancer continues to raise awareness and donations. 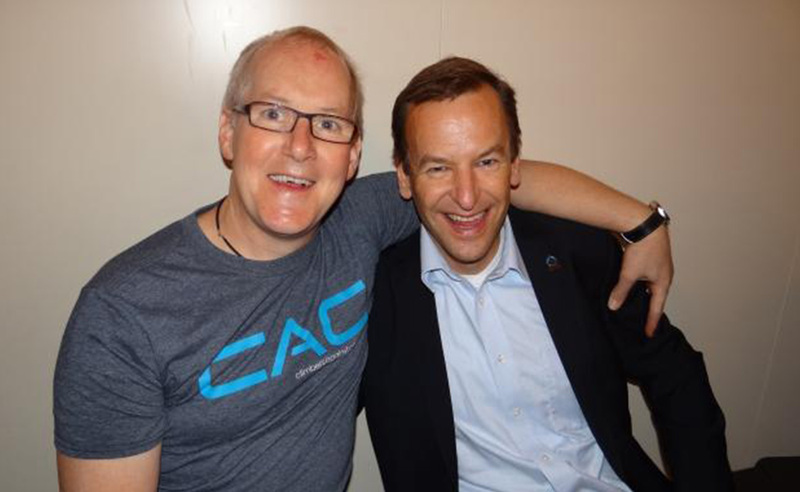 To honour John’s legacy, please join the UIAA in continuing to support CAC. 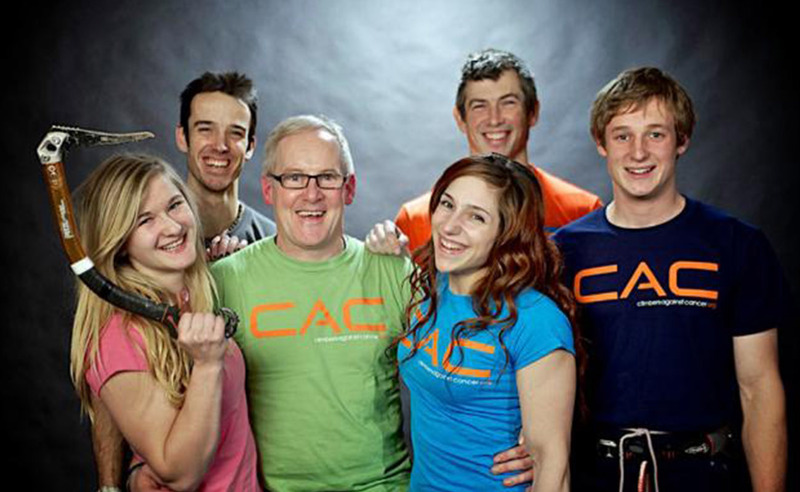 Further information: climbersagainstcancer.org and on the CAC Facebook page. 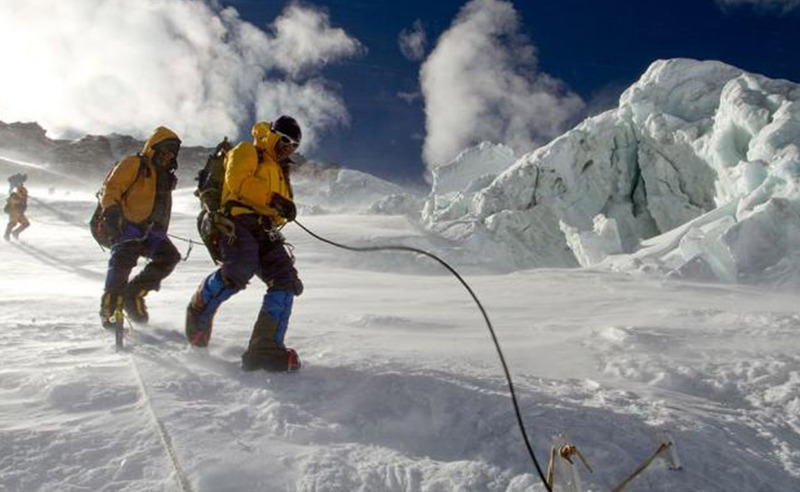 The Nepal Mountaineering Association (NMA) set up the Mountaineering Disaster Relief and Educational Support Fund (MDRESF) to support the families of 16 Sherpas who were killed when an avalanche thundered down the Khumbu Icefall near Camp 1 at a height of 5,800 meters on 18 April 2014. All donations received from around the world were deposited in this fund which was used not just to support the children of those who died on 18 April but the children of Sherpa mountaineers who may be die while climbing in the future. The Sherpas were heading to Camp I with supplies to set up camps and fix ropes for the climbers of various international expeditions. Nepal’s Ministry of Culture, Tourism and Civil Aviation (MoCTCA) gave the responsibility of the management of the education of the children of the deceased mountaineers to the Nepal Mountaineering Association (NMA) which created a basket fund for the support of surviving family members. The UIAA, through its global network of member federations, helped raised awareness and donations. The fund was run by a NMA committee headed by its President, and UIAA Honorary Member, Ang Tshering Sherpa.